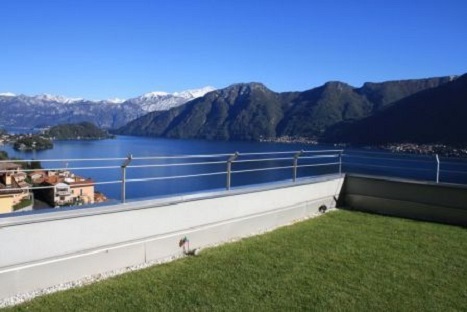 Spectacular location dominating the lake, luxury, modern penthouse apartment with lift and roof top garden and Jacuzzi. The stunning apartment consists of 110 sqm- living room with kitchen overlooking the terrace, 2 double bedrooms with 2 bathrooms and a small 3rd bedroom. Completely tastefully furnished. 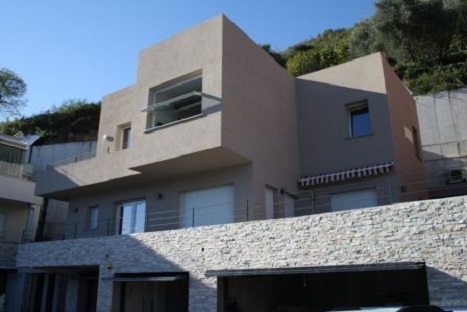 Large Garage + possibility to have a cellar of 20 sq.m. Luxury finishes. Stunning lake view! The village of Colonno is an extremely quaint former fishing village, located along the Via Regina, between Argegno and Sala Comacina – the area is known locally as the “Zoca de l’oli”, that is the “oil basin”, because the waters of the lake are usually as smooth as oil. The village has ancient origins. In medieval times it was part of the Parish of the Isola Comacina, and so it shared the same fate as the island in the long war between Como and Milan. It was once inhabited by fishermen and farmers. Nowadays it has conserved its typical medieval architectural structure, with each house leaning against the next one. Behind the village, on the steep slopes of the mountain you can still see the terracing and walls built years ago for the cultivation of the fragrant herbs, which the inhabitants would sell along with fish and fresh dairy products to peddlers who went around the province with a basket on their backs. Nowadays the village’s economy is based mainly on tourism and attracts many new tourists each year. Most of the accommodation is located up from the lakeside road, affording amazing panoramic views – some of the best on the lake! It remains a tiny village, with only a few, but sufficient amenities – a small village shop for basics such as bread, milk etc, two bars and the Trattoria Chegal which is one of the best fish restaurants in the area and is currently know only to locals. 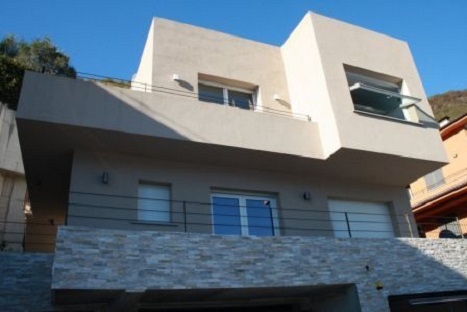 It looks nothing from the outside, but it has a charming terrace overlooking the lake. The ‘menu’ is verbal and usually offers only fish or meat. A much wider choice of bars and restaurants is available in both Argegno and Sala Comacina, which are only a few minutes away by car. 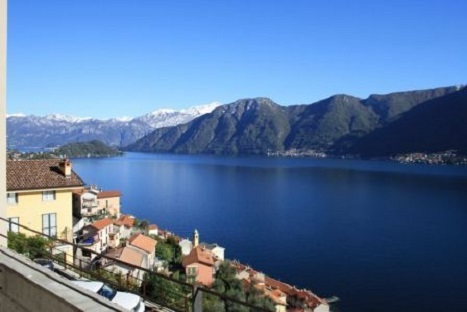 Colonno is also the start of the increasingly popular ‘Greenway’ – a wonderful 10.5km walk taking you all the way from Colonno to Cadenabbia and winding through hamlets, cobbled alleyways and lakeside walk-ways. It can be done in easy sections e.g. from Colonno to Lenno and then catch the bus back, then from Lenno to Cadenabbia on another day and get the ferry back to Argegno or the bus back to Colonno.